It’s hard to imagine how a tiny Bohemian spa town on the Czech–German border could ever have had much global significance, but there’s an extraordinary etymological story hidden in Jáchymov, a town 90 miles west of Prague, that’s matched by an equally extraordinary impact on the rest of the world. Jáchymov—or Joachimsthal as it was originally known—grew up around a silver mine founded in the mid 16th century. The town’s silver was of such high-quality that it was used to make coins for countries all across Europe, and the currency minted from Joachimsthal silver became known by the German name joachimsthaler in the town’s honour. Over time, however, that name became understandably clipped to a more manageable thaler, then morphed into daler, and finally—after a hop, skip and a jump across the Atlantic Ocean—became the dollar we known and spend today. Long story short, arguably the most important currency in the modern world, as well as the currencies used in more than 20 different countries and territories around the world, all owe their name to an otherwise fairly unassuming spa town in modern-day Czechia. The story of how Jáchymov gave us the dollar is just one of 80 different stops in Around The World In 80 Words, an etymological circumnavigation beginning and ending in London. Starting with the story of London’s uncompromising Kent Street ejectment, the book’s journey takes in destinations on every continent except Antarctica, stopping off to tell the stories behind an array of words and phrases derived from places across the globe. 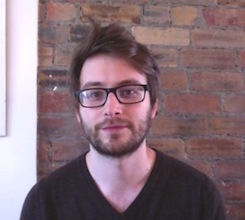 The University of Chicago Press have bought North American rights in Paul Jones’s Around the World in 80 Words. 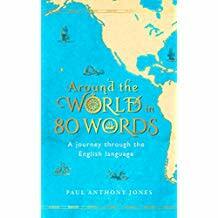 Elliott & Thompson have bought World English rights in Paul Anthony Jones’s latest word book Around the World in 80 Words.